A garda operation has taken place to remove the Occupy Galway protest camp in Eyre Square. Up to 50 gardaí moved in to dismantle the camp at around 4.30am. There were around six protesters on the site at the time and one man was arrested. Access to the square was restricted. Galway City Council workers assisted gardaí in the operation. The camp was established nearly seven months ago. 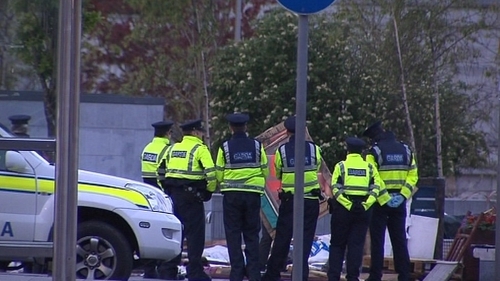 The council’s Director of Services Ciarán Hayes said the operation to remove the camp had been planned for some time. It said it fully respects the right of any person or group to engage in lawful protest. However, it stressed that the encampment was occupying a public amenity, which is not permitted under the law. The council passed its third motion in relation to the camp on Monday night. It expressed concern that it should be removed before the Volvo Ocean Race grand finale next month. Councillors said the "eyes of the world" would be on Galway during the festival from 30 June to 8 July. Protesters from the Occupy Galway encampment planned to assemble at Eyre Square at lunchtime.